2015-Nov-13: Today, in Paris, France, there were a series of terrorist attacks which were fatal to more than 150 people. These are terrible atrocities that were committed against peaceful and innocent people who were enjoying their freedom, inflicted by members of oppressive terror groups who don't approve of people having freedom. 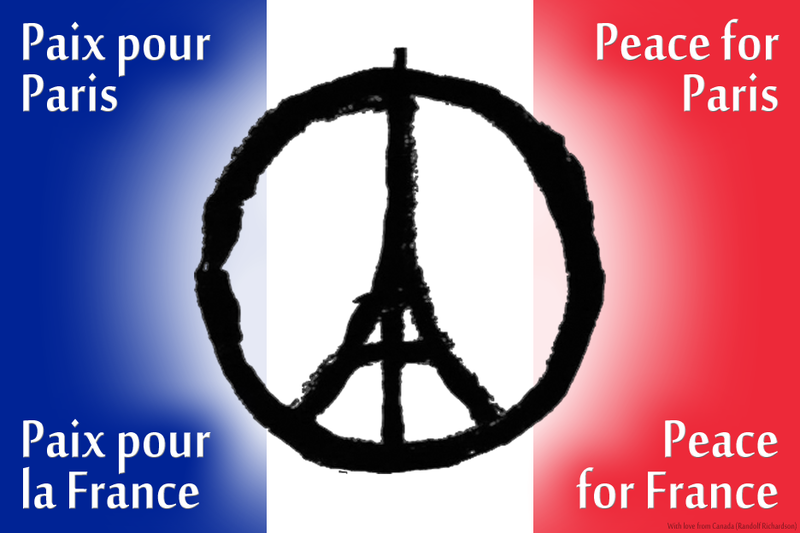 In response to this, and to express care and support for France during this extremely difficult time, I created the image you see to the right which is the flag of France with the Eiffel Tower positioned in front in the form of a "peace" symbol surrounded by the words "Peace for Paris" and "Peace for France" in both French (first, because it's the official language in France) and English (for the international English-speaking audience). As with all countries, what happens to France and everyone who lives there is important to so many people in other countries. So, please feel free to save a copy of the high resolution version of this image and share it with as many people as you want to.